RAMPUR - Four-year-olds Som Sharma and Rachna Sharma line up at 8 am each morning for the assembly prayers. Their school is the co-educational Madarsa Jamiatul Ansar, established by Hafiz Kalby Hasan Ansari in 1932 at Astabal Road, Ganj, Rampur. For over 15 years, Hindu students too have joined the madrassa, which serves as a bridge between the two communities in the locality. 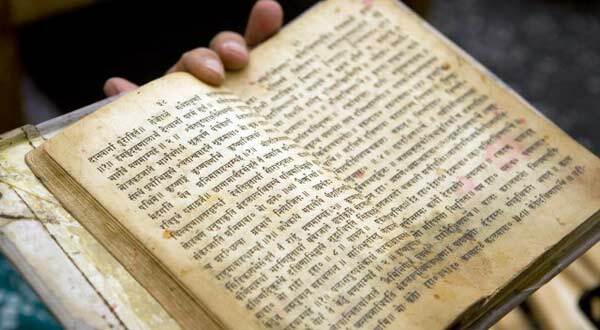 Hindu students here learn Sanskrit as Muslim children take to Quranic studies. There are also some Muslims learning Sanskrit, and some Hindu students learning Urdu. Other subjects that are taught at regular schools, like computer science, are also taught. Hindu parents, noting the quality of education here, are keen on their children joining the madrassa. Many Hindu students have also brought accolades to the institution, winning competitions. Some of the Hindu children also receive a scholarship. At the morning assembly, the children sing the national anthem and recite patriotic poetry by Allama Iqbal. Kushal Bhatia, a student of Class 8, leads the 600 students during the assembly. “I am proud to be a student here. I have been here for 10 years, started school here. The teachers and Muslim classmates are all very respectful,” says Bhatia. The madrassa is affiliated to the Uttar Pradesh Board of Madrassa Education, Lucknow. Besides Islamic studies, the curriculum includes English, Hindi, Sanskrit, Mathematics, Social Studies and Science. Although there are some Muslim teachers teaching Sanskrit, there are Hindu teachers too at the institution.